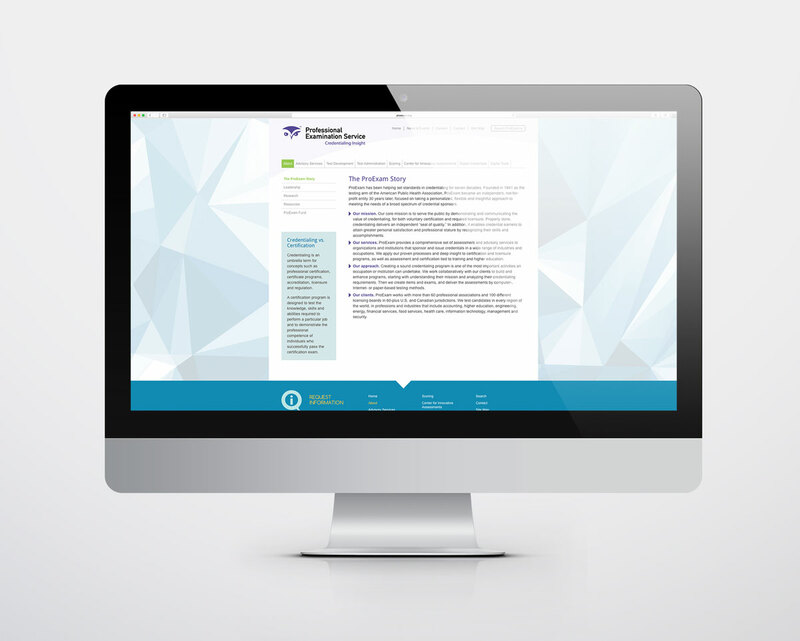 We redesigned the ProExam website to reflect the refreshed brand look of their print marketing materials. 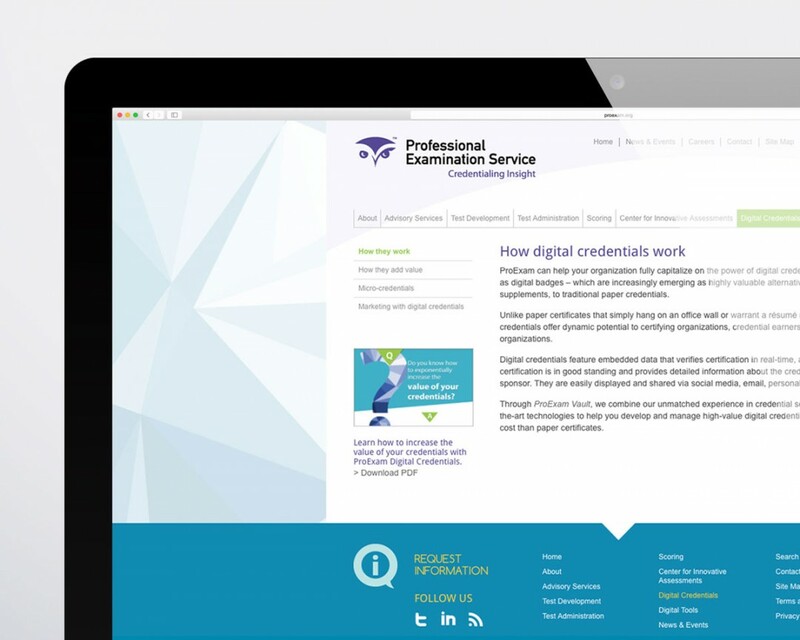 The primary objective on the home page was to position ProExam as credentialing experts and to make it simple for the user to identify and select their need: either 1) create a new program, 2) enhance an existing program or 3) transition to digital credentialing. 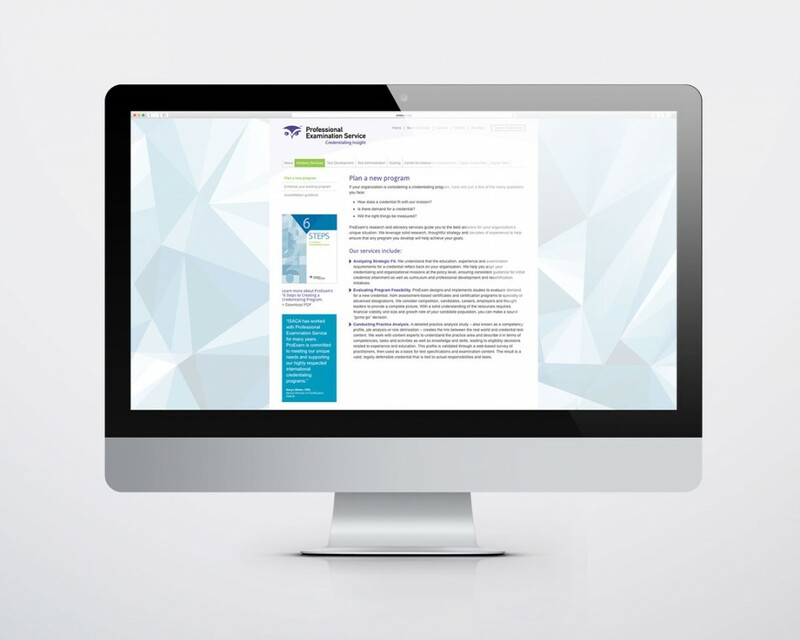 The website also offers opportunities to explore ProExam’s expert thought leadership on trends and innovations including their Center for Innovative Assessments which is leading the charge on developing and providing new ways to accurately measure noncognitive skills such as work ethic, teamwork, time management, etc.